Dos Armadillos Tequila | Blog & News. The Main Event at the Spirits of Mexico celebration attracted more than 2,000 attendees and featured a record-breaking number of agave-based spirits, totaling 79 brands with 213 expressions. 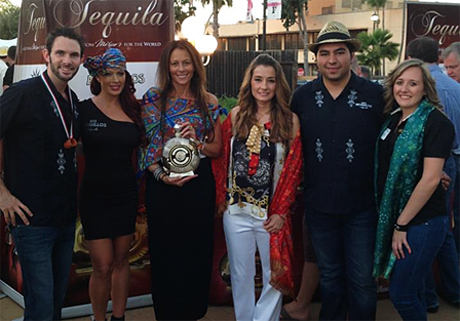 Dos Armadillos Tequila made its mark amongst the best of the best at the festival. Watch the video below. the best of the best at the festival. Watch the video. Cimarron Country Club is a premier private country club offering the perfect ambience for elegant, social and business gatherings – and for tonight – the perfect place to get a taste of Dos Armadillos Tequila! Thank you to all of our supporters for an unforgettable event! 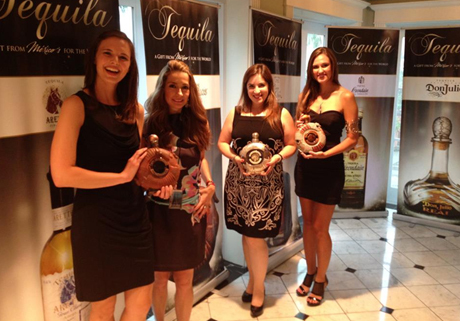 We are happy to report that Dos Armadillos Tequila received numerous awards at the 6th Annual Tasting Competition at the Spirits of México event. Entries for the tasting competition were judged on five key elements including appearance, aromatics, flavor, mouthfeel and finish, with a rating system totaling a maximum possible score of 100 points. The intensive blind-tasting schedule included judging of 113 entries! A new packaging category was added to the 2012 competition – as Mexican spirits are known for creativity in package design. Dos Armadillos Tequila made its appearance at one of the largest events in the industry – and the response has been extremely positive! At ECRM, Wine, Beer and Spirits producers and suppliers, wineries, importers and exporters from around the world presented their products to a global audience of retailers, distributors, importers, restaurant chains and hotel groups. 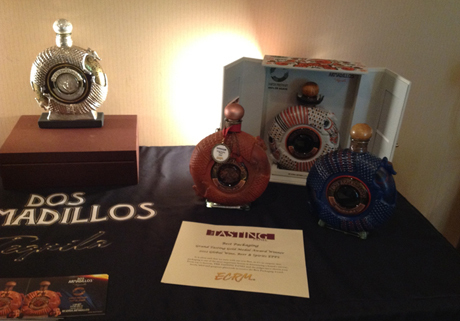 Dos Armadillos Tequila – Extra Añejo Natural Clay Bottle won a Gold Medial in the “Best Packaging Award” while at ECRM. Thank you to everyone that stopped by our booth, gave us great feedback and for supporting ultra premium tequila! Dos Armadillos Tequila at the Santa Bárbara Tequila Harvest, CA. Check out the video below to see highlight of Dos Armadillos in Santa Barbara. 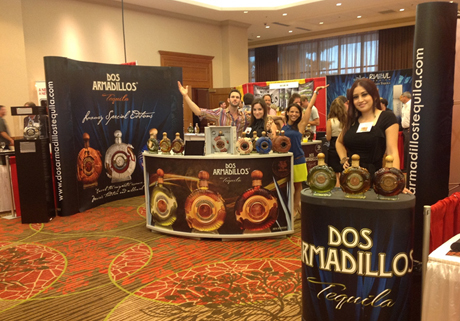 Dos Armadillos Tequila in Texas Package Store Association, Dallas, TX. TPSA, represents the Texas liquor store industry, it is the biggest fair. Dos Armadillos Tequila at the Tales of the Cocktails in New Orleans, LA. On July 25th, the Tales of the Cocktails event kicked off with a dinner and lots of press at the Vieux Carre Room at the Monteleone Hotel in New Orleans. Make sure to check out Dos Armadillos Tequila on July 27th during the Tequila Extra Añejo showcase at the Hotel Royal Sonesta! 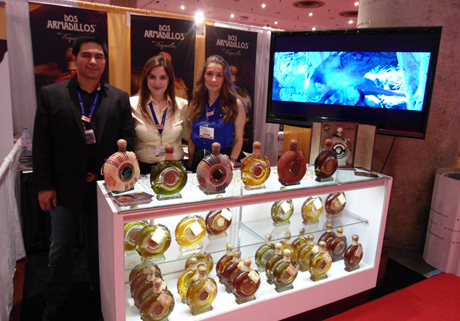 Dos Armadillos Tequila in The Bar & Restaurant Show, NY. The Bar & Restaurant Show is a grand event concerned with the exhibition of distilleries and beverages. It exhibits different brands of beer, wine and spirits. It assembles a large number of participants including owners, operators, managers and buyers from the Mid-Atlantic States, the Northeast, the Eastern Seaboard and the U.S.